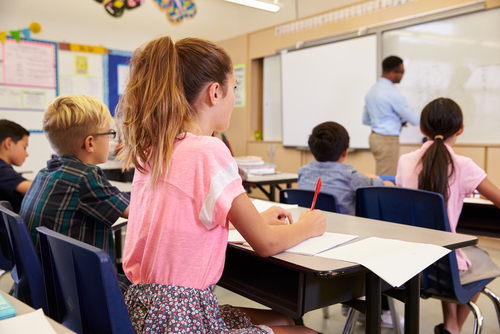 This month, California’s Board of Education approved a final version of its state accountability plan known as the Every Student Succeeds Act or ESSA. The law, passed in 2015, governs the United States K–12 public education policy. The LA School Report points out that ESSA requires each state had to determine a method of evaluating schools that did not focus on academics. While most states are relying on chronic absenteeism as an indicator of student success, California is instead looking at suspension rates as well as the college and career indicator. It took some time to get there, 18 months of hearings, but U.S. Secretary of Education Betsy DeVos approved the California plan, leaving only New York yet to receive approval. California, through ESSA, should be getting about $2.6 billion this year in funding through ESSA, according to EdSource. How Will California Use the Funding? About $1.8 billion goes to low-income students. $128 million to migrant children under Title I. About $230 million go towards training and recruiting teachers and school leaders under Title II. About $6 million could go toward training principals on new academic standards. About $150 million is for language instruction under Title III. About $180 million goes toward academic enrichment, after-school programs, and improving school climate, under Title IV. If your son or daughter is facing a school expulsion hearing in California, please reach out to The Law Offices of Katie Walsh. We can help you navigate the school discipline process and advocate for your child, safeguarding their rights. Attorney Walsh has extensive experience in the juvenile court system.